Is it All Bad? Cheap web hosting has some advantages as well, biggest being economical. And because features are little, the websites are simpler and easier to navigate. That is the end of the pros for going the cheap hosting way. 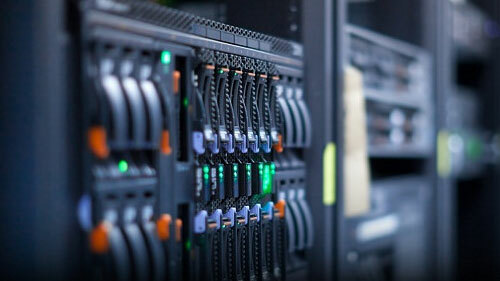 Limited Resources, Compromised Performance: When you go to cheaper route, you usually opt for shared web hosting where your website is sharing the resources with numerous other websites. You are essentially compromising on quality, it might mean that you cannot upload high resolution images, or less amount of products can be uploaded. Even if one of the other websites get higher traffic, it will result in server overload and boom, downtime. Lack of Customization: You are not truly the boss of your website as options to tweak the interface of your website are usually limited. You might get a control panel with some options to change but most of the things will be on default settings. If you need more customization, you will need to pay extra for every feature. Security Leaks: The world was recently rocked by various big companies admitting hacking of their websites resulting in release of confidential customer data. A cheap, shared server will not let you install your own security protocols or software. Even if one of the other website is under attack, your data can be compromised too. If your business is retail, be prudent and go for better options. A customer will think twice before visiting your website if he knows that it has been under attack previously. Sham In The Name of Customer Service: Cheaper web host will mostly provide you with some customer support but usually it will be extremely poor or very late. It is one of the most important things because everyone runs into a problem now and then and you need someone to help you out. Final verdict is that cheap web hosting might seems attractive now, but it has a hidden cost which makes it extremely costly. Stay safe, go for quality web hosting. Get the most out of your money by upgrading to Business plan today! Buy website traffic from 10KHits and use our promo code: BOOST400 to get an additional 200,000 website visits FREE!